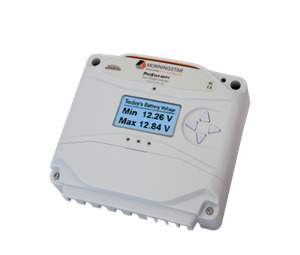 The Morningstar PS-MPPT-25M Charge Controller comes with a Meter Display, and is capable of charging all battery types, including Lithium Ion.This is the first mid-range MPPT controller fully UL and IEC listed, that has integrated lighting and load control. 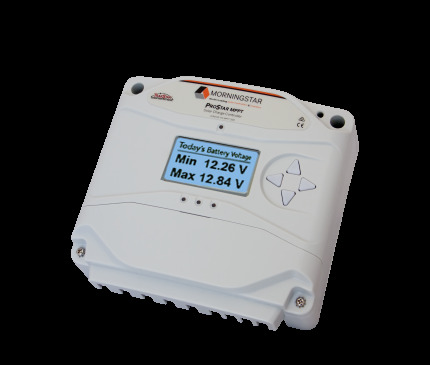 The NEW ProStar MPPT is a mid-range MPPT solar charge controller with TrakStar Technology that provides maximum power point tracking (MPPT) battery charging for off-grid photovoltaic (PV) systems up to 1100 watts. 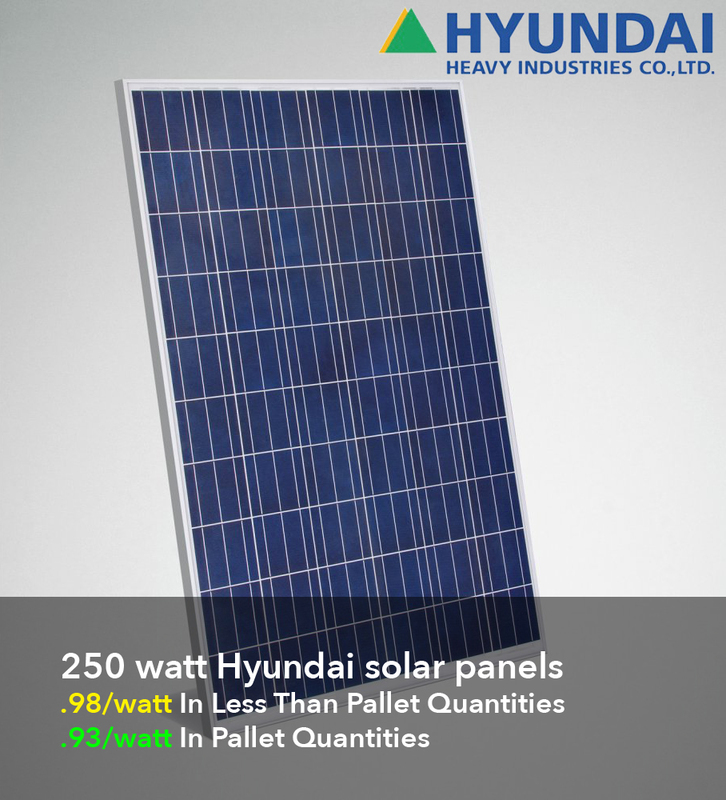 This device is ideal for industrial and residential applications.